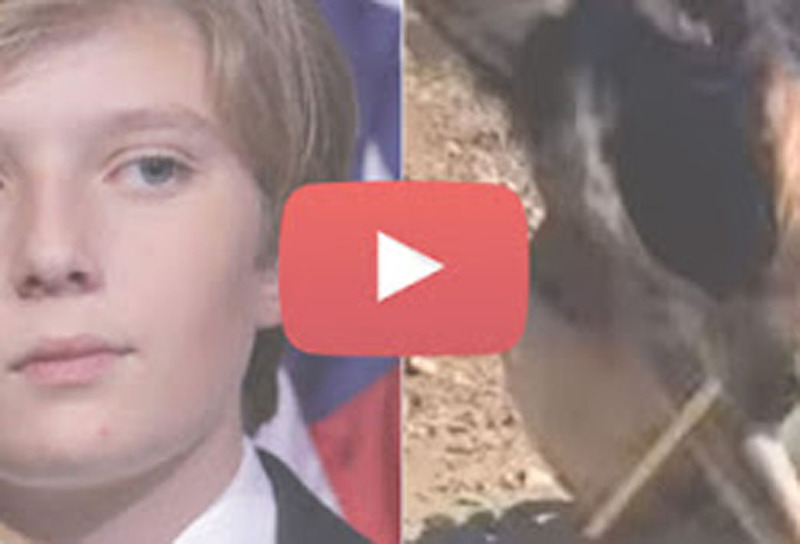 Donald Trump's youngest son, 10-year-old Barron, shared this adorable patriotic puppy video on his Facebook page with the caption "Do you love this puppy?" — Jerry Lothridge: "The dog is more of a patriot then some of our football players." — Richard Williams: "It's bad when a dog is smarter than some humans." — Jack Smith: "This [offends] me that people are offended at this good dog ..bite them." — Patricia Rauenzahn: "Love it. Thank God for the dog and Trump, not in that order tho."